As everyone knows, Canada's national sport is hockey. (I know, there are a few sports that can definitely be documented as having been developed in Canada, such as Lacrosse and Basketball and therefor have better claim to the moniker; I just like to stir the brown stuff:) and what I'm really referring to when I say "Canada's National Sport" is this nation's	preoccupation with the sport of hockey. 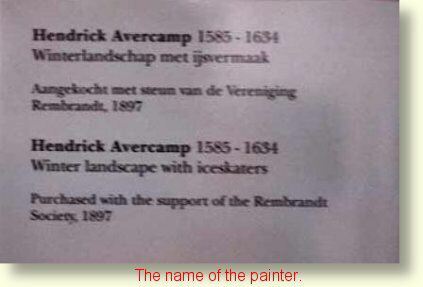 But, where did the sport originate? 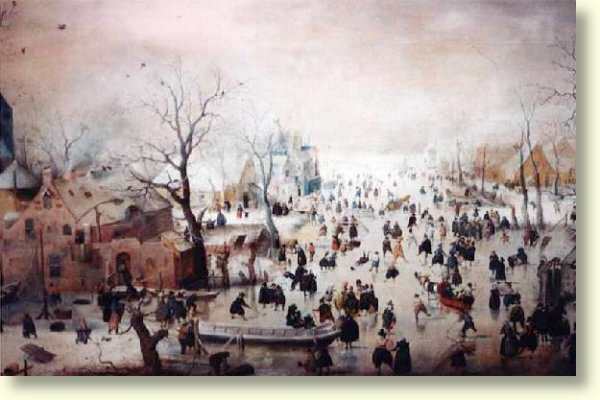 Imagine my surprise when I walked through the "Rijksmuseum" in Amsterdam back in 1997: there was a 16th century painting that very obviously depicts the use of a stick to move a round object around on the ice. It doesn't take a rocket scientist to make the leap from playing around to a game. The most fascinating thing about	this picture is the shape of the head of the stick, which reminds one of a golf club. 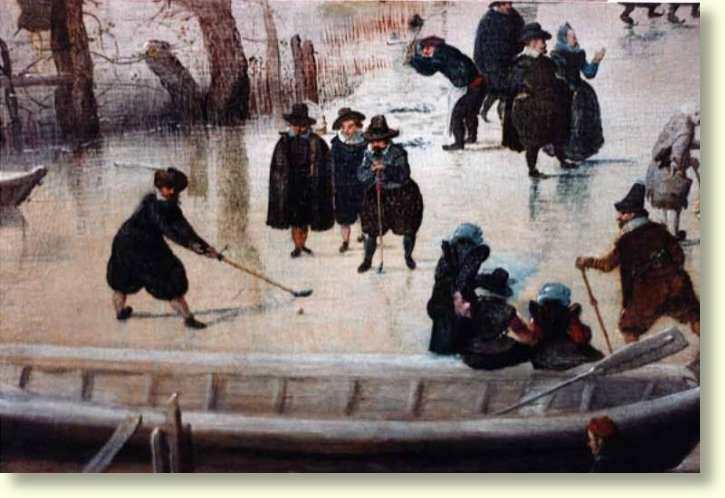 And keep in mind that most researchers agree that golf got its start in the Netherlands. And while you're taking another look, have a close peek at the shape of the round object; not quite a puck, almost looks like a golf ball, doesn't it? All these pictures were shot under available light; that meant fairly slow shutter speeds, as you can see from the slight camera shake on the 3rd shot.